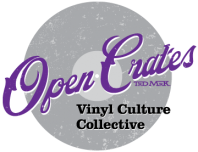 Open Crates is a monthly meetup for vinyl enthusiasts in the greater NYC area. Our mission is to build community through social experiences centered around the culture of vinyl collecting, trading and music history. Each month we pick a vibrant space to setup turntables, invite members to bring their vinyl to play for the group and feature curated crates from local vinyl dealers for purchase, trading or just admiration. Now we're evolving the meetup into a Vinyl Pop-Up Shop. We'll curate rare, mint-condition vinyl to be mixed and available for sale on the spot at a swank & ecclectic venue in the greater NYC area.